IFBB pro Andre Ferguson AKA Lucky Libra. The three D’s of success. It’s all about dedication. Determination. And discipline. I can’t wait to see this beast at the Mr Olympia this year. Insane physique and a mindset out of this world. If you’re into bodybuilding, then make sure you check out Andre Ferguson! 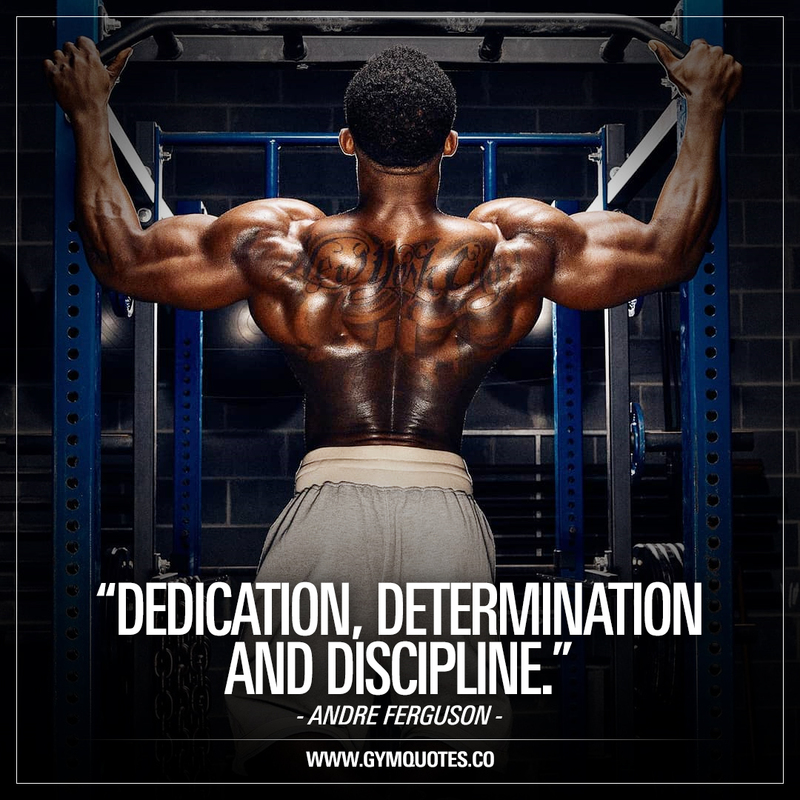 Want more quotes from IFBB pro Andre Ferguson? Figure out what you need to be dangerous at, check your ego at the door, and quadruple down on your strengths. Once I got a glimpse of my potential, the desire to be great was born. Whats the point of being in the game, if its not to win? And while you’re here: join our FREE newsletter for AWESOME content!